“I’m owls breakfast!” thought Daniel. “I’m lost!”. A Tasmanian Devil rescue story. 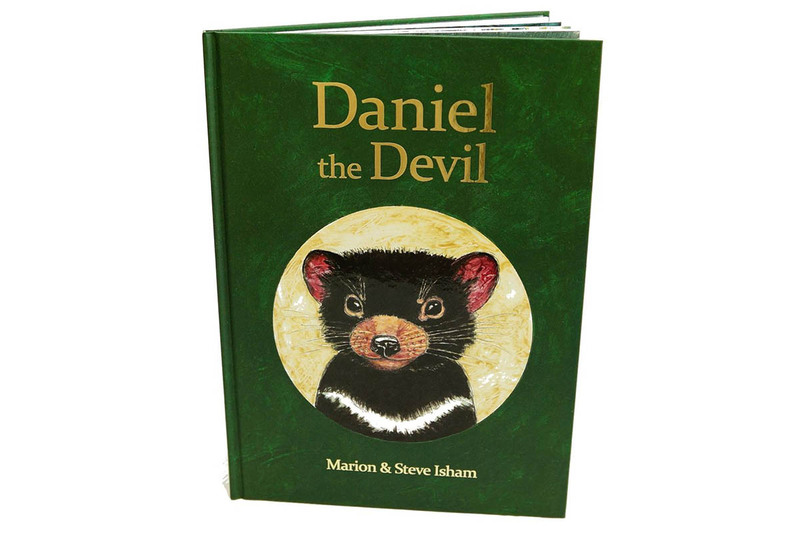 Exciting text, informative content, solve riddles, find 25 Tasmanian animals. A beautiful hardcover childrens book that will be enjoyed for years to come. The Tasmanian Devil is found now only in the island state of Tasmania. It is a night time scavenger and will eat almost anything that is available. The Tasmanian Devil is only the size of a small dog. The devil is a protected species. Vehicles are the major cause of death for the devils as they have learned that roads can be a good supply of food. The Tasmanian Devils have declined in numbers in the past several years due to the Devil Facial Tumor Disease. Jump online and check this out – there are many ways in which you can help the devils fight this deadly disease!